Chaos reigned for a few seconds. 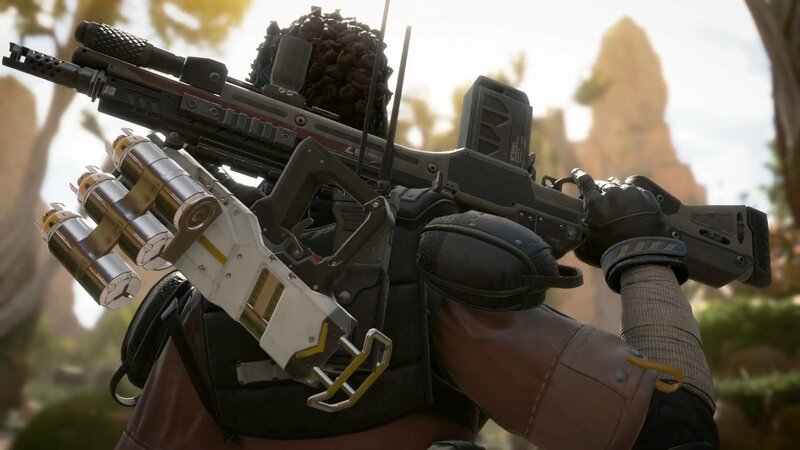 Apex Legends three-player squads are small enough for players to coordinate their strategies effectively, but they’re big enough for every player to be doing their thing alone. At least that’s what was shown last night by a squad with Coby “dizzy” Meadows, Félix “xQc” Lengyel, and m0xy. A clip from dizzy’s Twitch livestream begins with xQc down, m0xy next to him, and dizzy in the middle of a gunfight in the opposite direction. XQc is begging m0xy to bring him back to the fight, m0xy is demanding xQc to say he’s sorry for something he had just done, and dizzy is desperately spraying an opponent with an RE-45. All this happens at least three times, one for each opponent dizzy takes down alone. This whole situation perfectly reflects the personality of dizzy and xQc. Dizzy is completely focused on all the gunfights, as he does in any Apex match he plays and (many) tournaments he wins. XQc is a former Overwatch pro turned variety streamer who’s too proud on camera to admit to his mistakes, which constantly leads to others making fun of him when he’s put on the spot. This isn’t your standard Apex squad. You have all the action you’d expect from try-hard players and all the fun from variety streamers. While this would never be a good combination for winning a tournament, it’s good enough to make us wish they play together again for more chaotic situations like that one. And if something like that happens to you, we hope you have the same skill dizzy had to get out of this situation. Otherwise, just hope your allies aren’t like m0xy and xQc.